Obituary – Stoddard, Donald Leroy « Perry High School Alumni Association, Inc.
Football 45-51, Football Co-Captain 50-51, Perryscope Staff 50-51, Home Room Vice-President 49-40, Boys Glee Club 49-51. 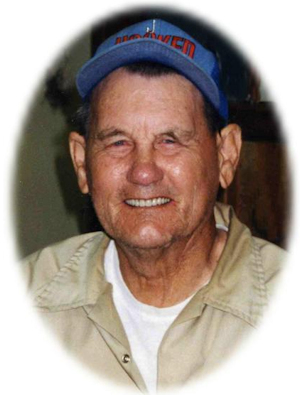 Donald L. Sonny Stoddard, 79, of Perry, Oklahoma, was the son of Leland Lewellan and Lena Ethel Jones Stoddard. He was born on November 13, 1929 in Perry, Oklahoma and died, Friday, June 19, 2009 at the Golden Age Nursing Home in Guthrie, Oklahoma. 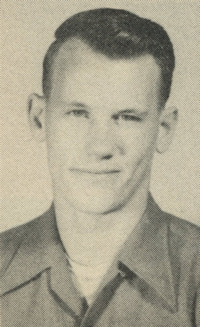 Don was a 1951 graduate of Perry High School where he was co-captain of the Perry Maroon Football team. He enjoyed singing, playing the guitar and fishing. Don was called Perry’s Cow Creek Poet. He was published in the New Millennium Poets Book in 2002. Don was involved in Perry and Oklahoma history; not only in research but also reading and maintaining records. He was a true historian. Funeral services will be 2:00 p.m. Monday, June 22, 2009 at the Brown-Dugger Funeral Home Chapel. Pastor Robby Robbins will officiate. Interment will be in Grace Hill Cemetery. Services are under the direction of Brown-Dugger Funeral Home in Perry. Memorials may be made to the Cherokee Strip Historical Society in care of Brown-Dugger Funeral Home, 1010 N. 7th Street, Perry, Oklahoma 73077. Don is survived by one daughter, Gayla Meshew and her husband, Ric, of Guthrie, Oklahoma; five grandchildren, Andrew Shelton and his wife Melissa, of Edmond, Oklahoma, Tyson Wampler of Midwest City, Oklahoma, Joel Wampler and Corinne Pugh, both of Oklahoma City, Oklahoma and Lori Brooks and her husband, David, of Gulfport, Mississippi; four great-grandchildren, David Shelton and Mikey Shelton, both of Edmond, Oklahoma, Adyson Wampler of Guthrie, Oklahoma and Emma Brooks of Gulfport, Mississippi; two sisters, Lois Shaw and her husband, Ron, of Talihina, Oklahoma and Betty Rudd of Tonkawa, Oklahoma; four nephews and one niece. He was preceded in death by one daughter, Vanessa Wampler, his parents, Leland and Lena Stoddard and two brothers, Kenneth Stoddard and Allan Stoddard.